Hello my beautiful melanated travelers! So as Black Americans you all spent some time traveling in Europe. What country were you in? How did you pick your destination? Briona, a traveling Poet from Baltimore! BRIONA: I’m currently living, studying and working in London. I came here for the first time in 2016 to study abroad and I chose London because at the time it was the most interesting exchange program my school offered. Also, I was a new traveler so the non-language barrier factor was attractive. RAPHAELLA: I studied abroad in Belgium for about 10 months. I knew I wanted to study abroad in Europe since high school so picking a destination there wasn’t as difficult as I thought it would be. Since I minor in French, I figured a francophone country would be the most ideal; I had the option of either going to Belgium or France. I chose Belgium because not only a cheaper option, but it’s in center of Europe, which makes it easier and cheaper to travel from! NASIR: I just spent 2 months working at a hostel in Spain. The destination sort of picked me. I was on a press trip in Malaga, and I noticed that there was a hostel in Seville looking for a worker, so I moved to Seville. I was only supposed to stay for one month, but I ended up staying for 2. SOJOURNER: I studied Spanish for years and was fed up with just reading books by the time I got to college. I decided I was gonna quit or go abroad to become fluent. I did the latter for 5 months in Granada, came back to graduate, then taught English in Logroño, Spain for a year. Super pumped to talk about being Black in Europe! Raphaella, a traveling student living her best life! Prior to going to Europe, what did you know about being Black in Europe? Were there ways you prepared for your experience? RAPHAELLA: To be honest, I knew nothin’ about being Black in Europe. Since a variety of social issues are out casted in the States, we’re convinced Europe’s society is way more progressive when it comes to social issues. Sike! Inequality varies from place to place, region to region. Is there structural racism in Europe? Of course. But it’s not as blatant as it is in America. BRIONA: As a new traveler, I didn’t know much about being black in Europe (or anywhere outside of America, to be frank) so I didn’t prepare for the experience before coming. Honestly, I thought it was a utopia where I’d be ‘free’ from all the injustices towards Black people in America. Obviously, that’s not the case. I was quite naive. NASIR: I’ve been going to Europe on and off since I was 16. My first time was with a school trip. I had a huge obsession with France. So, naturally, I was intrigued by Black expats who moved to France and created a name for themselves – Josephine Baker and James Baldwin, just to name a few! I internalized their experiences, and I assumed that mine would be the same. And I was wrong because we aren’t living in the 20s, 30s, 40s, and 50s anymore. SOJOURNER: Honestly, I didn’t know much. I knew about Spain’s history of colonization, but I didn’t realize anything about how that could have affected my experience as a Black woman. I was just excited to go abroad and be as a carefree as possible. I didn’t know anyone who had spent significant time there, and I wasn’t aware of the Black travel movement or blogging world at the time to look anything up. Nasir, a Travel Writer and the Content Manager for Shut Up and Go! Did anything shock or surprise you about being Black in Europe? If so, what were those encounters and how did you react to them? NASIR: What irks my nerves about Europe (or any place where whiteness dominates) is the number of microaggressions that I’ve experienced as a Black person. I’m a major people-watcher, and I love to examine interactions. Over time, I began to notice the way that people interacted with me in comparison to non-Black people. For example, when I walk down the street, it is not uncommon for them to put their hands into their pockets to secure their wallets as they pass me or for them to clutch their backpacks and purses as we cross paths. We can clearly assume that they see me as someone who is going to rob them. Intentional or not, it’s extremely tiring and frustrating when these interactions happen dozens of times a day. From France to Argentina, these moments happen quite often. BRIONA: The first time I traveled outside of London during my spring break is when I saw the other side of Europe. It’s the first time I experienced a white person touching my hair without consent and the endless staring. I was fresh off of a coach bus headed to Dublin city and while my friend and I crossed the street an Irish man came up to me and didn’t say anything before just reaching to touch my hair. Luckily, my reflexes are crazy so I ducked out of his reach. I happened to be vlogging at the time so I turned around and recorded him. He looked embarrassed and walked away. I must admit that my first few encounters with people staring at me weren’t pleasant. In America, staring is rude and it’s been ingrained in us to react negatively or to get offended when someone stares at you. I never stopped to think that I might be the first Black woman (and one with a fro) that these people have seen in person. I automatically gave them an eye roll and asked what they’re looking at. It’s hard not to have that reaction but I am more used to it now. Me! Sojourner. 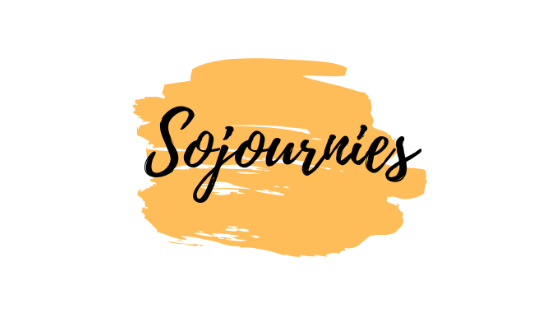 The creator of Sojournies, current grad student and travel addict! What was the best part of your experience abroad? RAPHAELLA: My student trips with pm2am and Wanderlust were by far the best part of my experience abroad. My first student trip was with pm2am and we toured Interlaken, Geneva, Chamonix, and Lyon for 4 days. My second student trip was with Wanderlust and we toured Prague and Dresden. What was the most enchanting about student trips is meeting other students who share the same interests are you: traveling and literally living your best life. I met students from all over the world who traveled miles to study in Europe’s top-ranked universities. Not to mention the pricing of each student trip were no more than 200 euros, so definitely got more of an experience for a cheap price! BRIONA: The best part of living abroad has truly been the people I’ve met and the memories I made with them. Being here really showed me people from all walks of life and allowed me to make personal connections with people who I would’ve probably met at home. Specifically, because I’m from a majority Black city (Baltimore) and have all Black friends. It’s always such a cool experience to be around a group of people with different languages, cultures, and ways of life. It’s helped me become even more open-minded than I thought I was. London is one of the most diverse cities in the world and although I’ve met a lot of European people, I still gravitate towards Black and Brown people. I’ve learned a lot from them and I’m happy to say that I have British, French, and Palestinian friends who I’ve met all in London (that wouldn’t happen in Baltimore). SOJOURNER: The people I met, the food, the wine, and the travel! The quality of life in Europe seems more manageable than life in the U.S. Is it perfect? Nah, far from it. But healthy foods are cheaper, public transport (which I love) is abundant, and cheap flights aren’t that far away. I’ve also grown as a person. I’m more open-minded, spatially aware (with Google Maps of course lol), and live into my name so much more now. It also helped me gain clarity in my career and life path. I didn’t “find myself” in Spain, but I definitely uncovered the traveler within. That’s probably been the best part. NASIR: I love to challenge white Europeans on their knowledge of the colonial history of their country. I met a lady from Belgium, and we began to chat about King Leopold and his horrendous colonial acts in the Congo. After this convo, she said, “Thank goodness that was Belgium’s only colony.” I quickly intervened and said, “Absolutely not. Rwanda and Burundi were both Belgian colonies, and Belgian and French authorities can easily be blamed for influencing genocides in both of these nations.” She looked at me with an extremely shocked expression. Sure, call me blunt, but it’s important to remind Western Europeans that one of the reasons that many of their nations have resources is thanks to colonization. Nuh uh, if y’all are still benefiting, then I’m going to let you know. This goes for Americans too – we’ve got to acknowledge U.S. intervention all around the globe and how the suffering of others has given resources to the United States. Not cool – but it’s the truth. How do you feel Europe is similar and/or different from life in the U.S. for a Black American? Were there any key cultural customs that stood out? SOJOURNER: I think it’s similar in that the micro-aggressions are everywhere. The racism is everywhere. Unfortunately that’s the truth. I found that in my conversations with Europeans, they had the same colorblindness that many White Americans use. I had one European try to explain why he could say the n-word because “it’s different over here.” Ummmmm I don’t think so. Europe colonized just as much as any other Western nation. As a Black American, I think European racism and their approach to anti-blackness is less overt than towards us in the U.S. and we have the allure of “foreignness” they like to fetishize. RAPHAELLA: What’s similar with both Europe and U.S for Black Americans is the collective Black experience. What I mean by that is Blackness is more than just physicality. It includes our historical background, our collective resilience + resistance in spite of our oppression in Western society, expressive culture, and double consciousness in white spaces. I grew up in the East Coast, where I wear my Blackness and my Haitian identity on my sleeves – in Europe, that’s not the case. I felt as if my Blackness was invisible and only visible when it was “convenient” in certain social situations. For example, locals would inquire about the contemporary inequalities in mainstream media towards Black Americans, which was rather unexpected because how can I explain my Blackness in simple terms when it is my life and my identity? When it came to certain instances like such, I found such a correlation between the U.S and Europe to be very similar. BRIONA: London is similar to the U.S. in many ways and as a Black American most things here are similar to what I’ve experienced here. However, even though we speak the same language there are cultural cues that I learned in London like standing on the left on an escalator in the tube station or calling an elevator a lift. With all of its’ similarities, London and Europe, at large, being Black in Europe will never be similar to life for Black Americans at home. At home, I have to look over my shoulder, worry about police brutality and fear going to public places because of the frequencies of mass shootings. Europe has their problems. It is not a utopia or a place where racism and injustices exist in a vacuum, but I don’t have to worry about the fears that come with Being Black in America. There is always talk of Black people being fetishized and/or over-sexualized in Europe. Did you ever feel that? And if so, how did it make you feel and how did you respond? NASIR: I’ll just say this: once, I was hooking up with a Spanish man in Seville. During “the act,” he whispered to me, “Eres mi conguito precioso.” I didn’t quite realize what he meant, so I ignored him. I later Googled “Conguito,” and it’s a candy with its mascot as a monkey-esque depiction of a Black person. Being Black in Europe can be #MESSY! RAPHAELLA: Oh, most certainly. It’s a major let-down considering Europe’s progressive presence in the world today. I’ve encountered men who told me that they’ve never been with a black woman and implied on “trying” it with me, who sexually harassed me with money to act out their sexual fantasies, and who slurred out primitive and sexual microaggressions that made me feel internally puzzled and disgusted. It made me feel uncomfortable that black women are looked upon as lascivious and automatically seem sexually available. Not only did I feel like I was “fascinating” to white European men, to me, I felt as if I were the token black girl for them to carry out their sexual fantasies that seemed a little bit taboo for their social liking. I usually respond in a passive aggressive manner because I despise going to violent measures to get my point across to someone, but it’s difficult to call out at first because I couldn’t quite figure out what words to respond with past initial shock. BRIONA: I don’t feel this on a regular basis as London is a pretty diverse city. The feelings of fetishization have only happened to me when I’ve traveled around Europe. When I studied abroad in Europe during college, my friends and I went to Italy for spring break. While we were walking the streets of Rome one night, my friend had a wardrobe malfunction that caused her to have to wrap my sweater around her waist. As we walked back to our Airbnb an older Italian man walked approached my friend and asked her ‘How much?’. He was assuming that she was a prostitute because of her lack of clothes and it was really shocking for all of us. At the moment we laughed but when I reflect on it now I know that it was the age-old practice of treating Black women as hypersexual. Europe also has a variety of African immigrant populations. Did you have the chance to talk to them and compare experiences? Or did you notice a difference in the way Black Americans and African immigrants are treated? RAPHAELLA: Yes, yes, yes. I did get the chance to talk to various African immigrants. It’s sort of the same experience Black immigrants go through when they arrive in America. I also met a lot of 1st generation African-Europeans which made me ecstatic because I’m a 1st generation Haitian-American. So in a sense, our experience were relatable and it felt nice knowing that my childhood experiences are relatable to people abroad. It was very reassuring, and it reminded me of home so much. Being Black in Europe and the Western World immediately calls for double consciousness, a term coined by W.E.B Du Bois in his book “The Souls of Black Folk.” I thought that it was only apparent amongst Black folks in the U.S. but speaking with African immigrants and other first generation Africans in Europe, double consciousness is evident in their daily lives because they do experience race-based oppression and devaluation in their white-dominated societies. I spoke with numerous African immigrants that shared their experiences with racist and fascist Europeans, which were shocking but nothing new. Oppression isn’t a “trend.” I also observed how white Europeans instantly change their behavior once they heard my American accent and their whole demeanor and attitude towards me change. It’s funny how first impressions work. NASIR: Despite my complaining about Blackness in Europe, I will admit that being a Black American offers a different perspective than being a Black or brown person from a former/recent European colony. When I studied abroad in Montpellier, France, I began to realize that there was a huge population of Algerian, Moroccan, and Senegalese people in Montpellier. For me, this was dope! For some of my white French friends, this was an “issue.” French society is specifically focused on class and classism, and often people falsely use race as a signifier of class… not cool! In reality, there are plenty of Black people who are thriving in France or in the rest of Europe, so to assume one’s class by their race is always messy (and this happens quite often in my experience). Did you interact with Europeans who were knowledgeable about Black American culture? What were their cultural points of references of Black culture, if any? SOJOURNER: Sometimes! I mean, it was pretty stereotypical. I got called “Obama” a lot. A waiter said I looked like Rihanna (I WISH) and told me to sing like her in Greece. That would have been horrendous. They have a lot of pop culture references. Also, they knew of some of the Black Lives Matter and police brutality issues too, but even with that all they know is what is sensationalized in the media. NASIR: For the most part, most Europeans knew Black American culture for our entertainment culture. I can’t be mad though – everything cool about The States was basically created by Black folks. So, it’s nice to be acknowledged for it. That said, it’s frustrating that it is one of the only areas that we are acknowledged in. What about black politicians, scientists, doctors, and intellectuals? I guess they don’t exist in the eyes of some. RAPHAELLA: I did actually, and it was startling at first. Most of American pop culture is Black culture which is massively globalized today. Majority of the Europeans I encountered mentioned cultural points that referenced to 90s hip hop, modern-day trap and clout music, vine, movies, and contemporary black figures in the either the film or music industry today. Occasionally I’d come across Europeans that were knowledgeable about Black history which was always a plus because we would call both America and Europe on their bullsh*t, haha. BRIONA: It depends on the situation. Sometimes people know about Black American culture beyond what is negatively depicted of us in the media – this is usual Black people. I typically find that white people in Europe don’t know much about Black American culture besides the negative stereotypes, hip hop music, and Trump. It’s quite frustrating to live here because I feel like I am also having to think about my own identity because it is questioned so often. It’s taxing to constantly have to explain who you are. Most times when I do explain, it feels like my answer isn’t enough for people – especially Black people. For me, the most frustrating thing is being asked by Black Londoners where I am from. I typically answered with ‘The States’ followed by my hometown, ‘Baltimore, Maryland’. All they ever know about Baltimore is the violence that was shown on the infamous HBO show. It usually doesn’t stop there and most people will ask ‘but no like where from in Africa?” and then next thing I know I’m giving a history lesson to another Black person about the transatlantic slave trade. The reason this bothers me is because they are willfully ignorant. There’s no way you can know everything else about Black American culture (dance, ebonics, music etc) but not know about our history. What do you wish you would have known before you left? Would you have done anything differently? Explain. RAPHAELLA: I wish someone warned me about the nuances of being Black in Europe. Don’t get me wrong, I loved the cheer and encouragement from my friends and family, but had I known extensively the possible scenarios I’d endure abroad, I would’ve been more cautious and protected my Black identity more. I would’ve known how to handle racially-charged statements or protect myself from predatory Europeans who wanted to act out their sexual fantasies. But you live and learn, and those lessons carried me a long way and made my experience in Europe more authentic than I’d ever imagine. That’s why I don’t wish I could’ve done anything differently because I don’t want to blame myself for being naïve. It was all part of the experience and I’m glad I got a lesson or two from each occurance. SOJOURNER: I think handling the “what part of Africa are you from?” question would have been good to know beforehand. I just didn’t expect it to come up as much as it did, and to this day I still can’t believe it’s a thing I get asked in Europe. Even so, that question shaped part of who I am and by not knowing about it engaged into many deep conversations with Europeans on Black American issues and culture. Being Black in Europe is something I don’t think you can fully “prepare” for. Raphaella, when in Rome eh? If you were to go abroad again and live in Europe, would you pick the same city/country? Or would you explore another one? Explain. BRIONA: Honestly, I’m trying to figure out how to never live in America again so I would stay in London if possible but I would definitely consider other European cities like Madrid or Berlin. These cities seem the most interesting and liberal to me. I don’t think any other city would be as liberal as London due to its size but I’d be willing to explore other places. I prefer to go to places that have somewhat of a black community so that I can find my people. RAPHAELLA: Haha, no shade to Belgium, but I would not pick the same country. 10 months was enough for me to get the whole collective experience as a college student, so I’m good. Belgium was an odd country but progressive in their socio-economic measures. Health care, education, and even their economy was spot on and inclusive towards immigrants and POC but it’s one of those Western European countries with a foggy colonial past masked with modern-day policies in effort to erase their disturbing historical presence in Congo and Rwanda. As I mentioned before, because Europe has such a progressive presence in the world, it’s strenuous to call out understated racism mainly because: Europeans believe that there is no such this as racism in their countries. Enforced integration policies should not be used an excuse for denial of racism. NASIR: Absolutely! Sure I’m a hypercritical person, but I truly adore parts of Europe. In terms of living, the systematic oppression of Black Americans is nothing compared to that of the United States. The intersection between “Blackness” and “Americaness” is super bizarre because, in certain aspects, nationality tends to overpower “race.” I’m still navigating what this means but in general, “American Blackness” is often perceived differently than other types of “Blackness,” which is extremely problematic… but it’s one of the layers of most Western European societies. We can probably blame on post-colonial relations for this, but that’s a whole different conversation! SOJOURNER: Yes! Despite it all, I could probably live happily in Europe for awhile in one of the big cities like Amsterdam, London, Lisbon or Brussels. I’m headed back this summer, to a different city and country where I don’t speak the local language, for a few months. We’ll see how it goes this time around. How did your time in Europe further shape your identity as a Black American? NASIR: Europe, specifically Eastern Europe, has given me the chance to breathe. In the States, life feels rather constricted. But taking time to travel without the pressure or restrictions of U.S. society helped me to build my confidence and to THRIVE! RAPHAELLA: It taught me that holding onto my Black identity is not only exclusive to America. I had to come to terms that I’m a matrix of identities and oppression, not just a ‘Black body.’ I am Haitian-American. I am a woman. I am Black. And it all comes down to being: A Black woman of Haitian descent. Europe shaped my protection of my Black identity. It shaped how I also should unapologetically carry myself as a Black woman because the world is cruel to my kind, so might as well live with dignity. It also shaped what Blackness means to me: impenitence, post-oppression, ancestral resistance, and liberating without racial barriers. That’s what being Black taught me while abroad. I may be Black, but I have the capability to live a classic life. BRIONA: When I first came to London in 2016, I had never traveled outside of the U.S. I was here and gallivanting with no care in the world. We didn’t learn much accurate history in the public school system at home and what we did learn about world history had completely left my brain by that point. So I came here in a very naive mindset. However, now that I’m here with more knowledge about the world and Europe’s effect on the world I have a totally different view of the countries I visit. On one hand, I want to visit beautiful places like Lisbon or France but now I go keeping in mind that these countries colonized, pillaged, raped, murdered and wiped away entire cultures. I go with a chip on my shoulder that forces me to look for minority-owned businesses in these places (if possible) to support them. When I go to write about it or share a post on Instagram, I let the people following my travels know that this place is gorgeous but here’s how they messed up the world and here’s how we can acknowledge that while still traveling there and uplifting the Black and Brown people who they colonized. The new knowledge makes me travel differently. It’s also made me mindful about how I spend my money and how I interact with local people. Also, being in Europe has made me want to travel to African and Asian countries way more than before. Why do you think it’s important for Black Americans to explore and learn through travel? SOJOURNER: Black people have ALWAYS been global people. Before colonization. Before slavery. I think traveling helps uncover that and shows you that there are many versions of what “Blackness” can be. You will always be Black. However, traveling shows you how that’s perceived and received in other countries. It can be challenging, and beautiful, and eye-opening all at once. BRIONA: I think it’s important for Black Americans to explore and learn through travel because it will open our minds to so much more than America allows for. My whole life I spent not knowing or experiencing anything about any other cultures, places or languages because America fed us the idea that this land was the greatest in the world. As I started traveling, I realized that America is in fact not that great and hasn’t proved itself to be a great place for black people to live either. Exploring and learning through traveling has made me a more open, optimistic and cultured person and I don’t think I would be if I never traveled outside of the states. It’s so important that I am working on a documentary for my master’s program about the Black Travel Movement. It will feature many Black American travelers and their journeys while also turning the lens on other Black travelers from the diaspora. NASIR: The complexly awesome part of traveling is that we’ll be perceived differently in every part of the world – as an American, as a black person, as someone with big curly hair or short, tight curls, etc. To see how others perceive us helps us to truly form how we perceive ourselves – both for better or for worse. Do you have any sage advice for future Black Americans heading to Europe? Any resources to recommend? SOJOURNER: Just GO! Stuff happens everywhere. Yeah listen to what we’re saying, but also know there is so much you can learn from travel. Never compromise your Blackness, travel far, and live your best life. Ain’t nothing better than a BLACK life well-lived. RAPHAELLA: Be aware that your Blackness is inseparable, but you have the power to control how you respond to ignorance. Wear your Blackness with pride and don’t shrink upon hearing disheartening statements that attack your Blackness. Travel with the mindset of relishing in the moment and forget about posting the “perfect picture” on social media. Take advantage of experiencing as much as you can because you might not know when you’ll be back! I recommended reading black travel bloggers and outlets such as TravelNoire or Black Travel Club to relate to other black travelers! BRIONA: I recommend to come mentally prepared for new white B.S. We already deal with enough racial tension in America and living in Europe will feel ‘different’ but the microaggressions and racism continue – just with a different look. As far as resources, seek out black travel bloggers who have lived abroad and dig into their blogs or social media accounts. Some resources are: Las Morenas De Espana , Tia Taylor (Black Influencer living in Italy), and My YouTube channel has videos about moving to London for grad school. NASIR: Y’all better read some James Baldwin, my personal fave is Giovanni’s Room! Also, the best advice and resource is to experience it for yourself! The experiences of others are always great to listen to but don’t believe everything some wacky guy from the internet says! Do you, boo! Thank you for participating! Now, drop your social media handles, websites, etc. so we can find you and keep up with your adventures! Thanks for reading! For more Black travel experiences, PIN this post for later! I must be super late to comment on this but I had a lot of these experiences the few times I have traveled overseas! Glad I’m not the only one who feels this way! Yes! You are not the only one. Thanks for reading!